During the final week of April, the occupants of the Vito Giannotti Occupation received news of the latest obstacle in their fight to turn a previously abandoned hotel into subsidized affordable housing units: a “writ of repossession” from a judge that would force residents to leave and would turn the building back over to the Brazilian Social Security Administration (INSS). 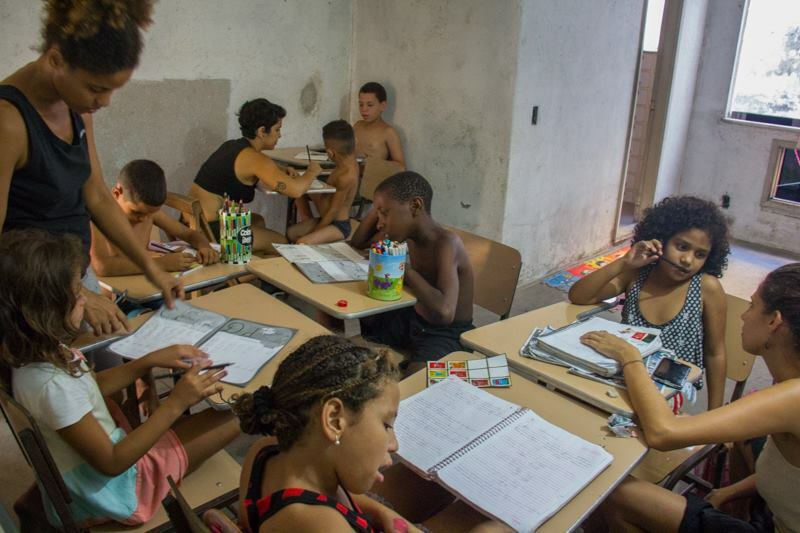 May marks the fourth month of the occupation, located in the Santo Cristo neighborhood of Rio’s Port Region. Over the past few months political uncertainty at the local and federal levels, lack of access to basic resources like water, food and supplies, and security concerns have been significant obstacles for the occupation in its fight. 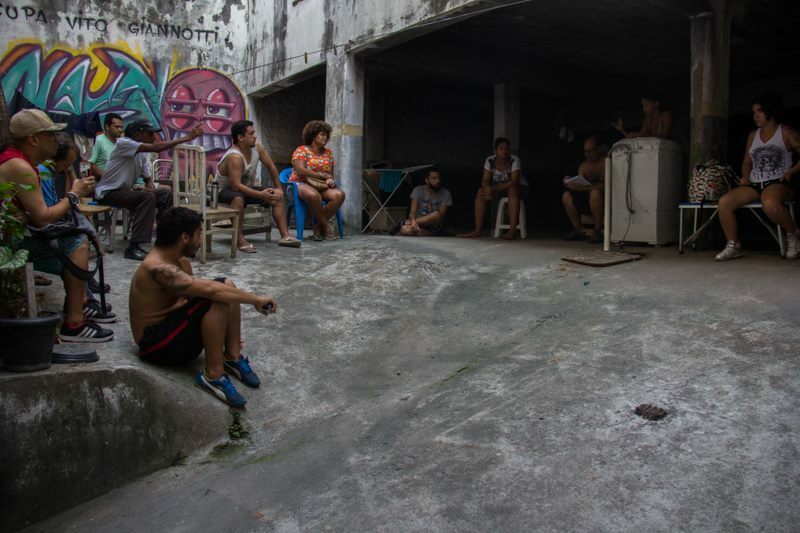 “We know that the whole city of Rio de Janeiro, especially the port area, is undergoing many changes related to the city’s preparation for the Olympics, a process marked by forced evictions, gentrification and high increase in the cost of living for the entire population, especially in relation to housing,” explained the occupation’s communications director Pâmela Sall. Faced with a troubled political context, the Vito Giannotti Occupation has expressed its appeal “to guarantee the right to the city and to decent housing,” says the group’s Facebook page, which provides updates on the status of the occupation as well as support occupants request. 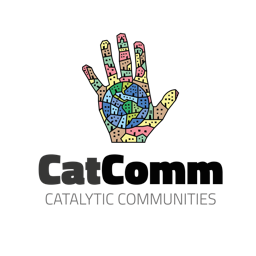 The occupation is a joint effort by four prominent, national social movements that came together with the goal of securing Minha Casa Minha Vida-Entidades (MCMV-En) funding to develop housing solutions. MCMV-En is a small part of the Minha Casa Minha Vida federal housing program and funds social movements and collectives develop their own housing projects. The process of applying for this funding is long and difficult. The Manoel Congo occupation in downtown Rio waited more than nine years to be granted this status. Beyond the fight for housing, Vito Giannotti has larger political and cultural motives: the space has become a collective meeting place for social movements and holds activities for children in the surrounding communities. 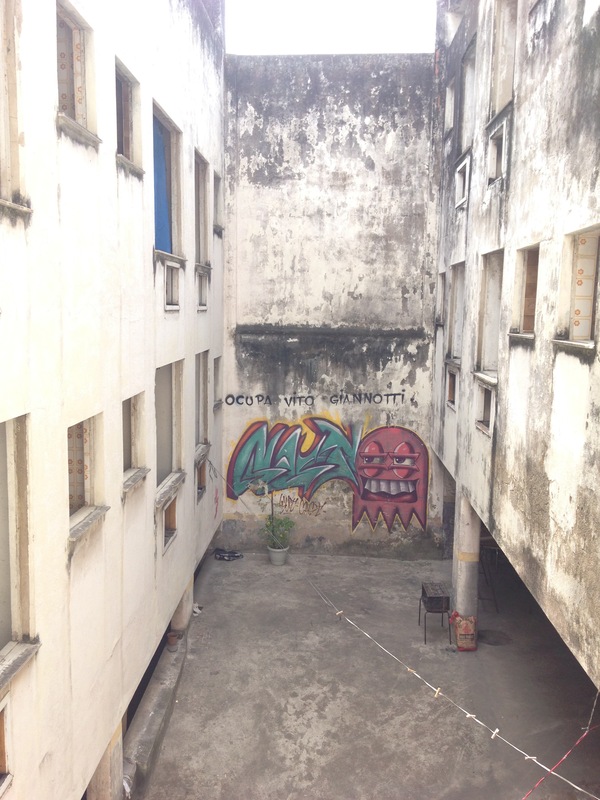 To prepare to apply for MCMV-En funding, the social movements and people occupying the building are preparing a report for the Caixa Federal Bank and the Ministry of Cities. 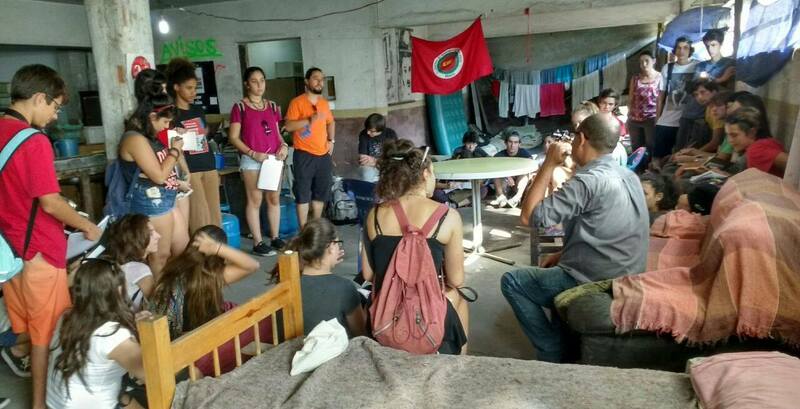 The occupation is leveraging the social movements’ nationwide networks and has already had meetings with officials in Brasília. The report will contain information on the building, project and budgetary considerations, the larger goals and objectives as well as more information about the people who will live there. To pass the first selection process phase for MCMV-En funding, the occupation needs to finalize the report. They are enlisting the help of a network of lawyers and urbanists who support the occupation as well as an architect who resides there. After this phase, MCMV-En applicants have to pass through a technical evaluation process. The Vito Gianotti occupation, however, has already received a structural evaluation from Rio’s city government. Theoretically, it could pass through this phase quickly, but it still needs to pass through the primary selection process to be in consideration for MCMV-En funding. The recent court ruling to return ownership status of the hotel to the INSS agency is a challenge and has slowed down the application. Occupants do not have access to a reliable water source and have to bring water for showers and cooking daily, but they say that the hardest part of the occupation is the constant uncertainty of whether they will be able to stay in the building or not. Occupants have made two requests to the government via the group’s Facebook page. Firstly, they ask that the INSS and the Ministry of Cities respect the designation of the building as affordable housing, which was given years ago. Secondly, they are requesting that the INSS stop the repossession process, meaning the occupation can regain legal access to the building. They would like to move forward with the INSS in ongoing negotiations about how to best transfer the property from the INSS to the Caixa bank and then the Ministry of Cities, which is ultimately in charge of the MCMV-En designation and funding. Currently, members of the occupation have returned to the judge with an interlocutory appeal to stop the repossession. As of May 9, the appeal was granted to the occupation, which leaves the INSS 10 days to respond whether the occupation can continue or not. Occupants are awaiting this response. The social movements are continuing to negotiate and make their case to the INSS officials to remain in the hotel and continue renovations. On May 11, the occupation launched an online petition to request the INSS allow the occupation to remain. To sign the petition (in Portuguese) click here. 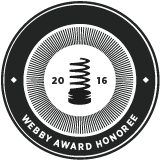 This article was written by David Robertson, and published on May 13, 2016.